Our schools do not start children in tap until the age of 6. Tap requires a great deal of coordination and can be a challenging style of dance. Students younger than 6 can compromise their backs if they start in tap too young. Tap includes intricate footwork with a focus on technique and rhythm. 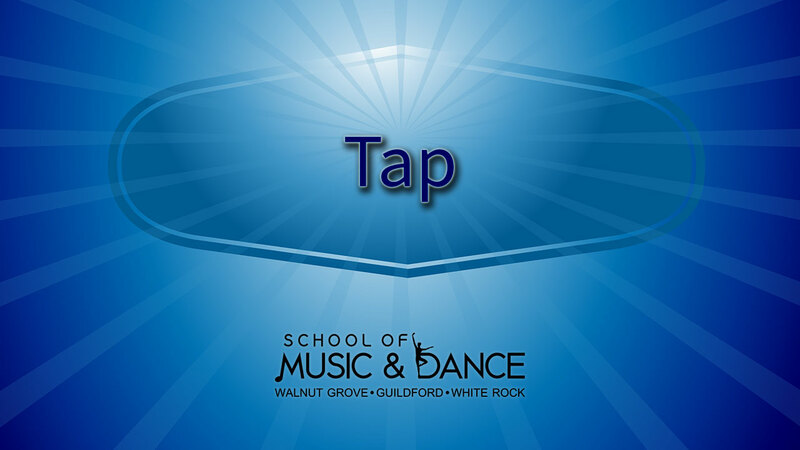 Tap is available in our Surrey (Guildford), Langley (Walnut Grove) and White Rock locations. Here's a short video of a tap dance class.